Two independently controlled hoppers. Get the most from variable rate technology spreading with MagnaSpread 2. Are you interested in getting more information or a quote for the MagnaSpread 2? Please fill out the form below and one of our Territory Managers will be in touch shortly. 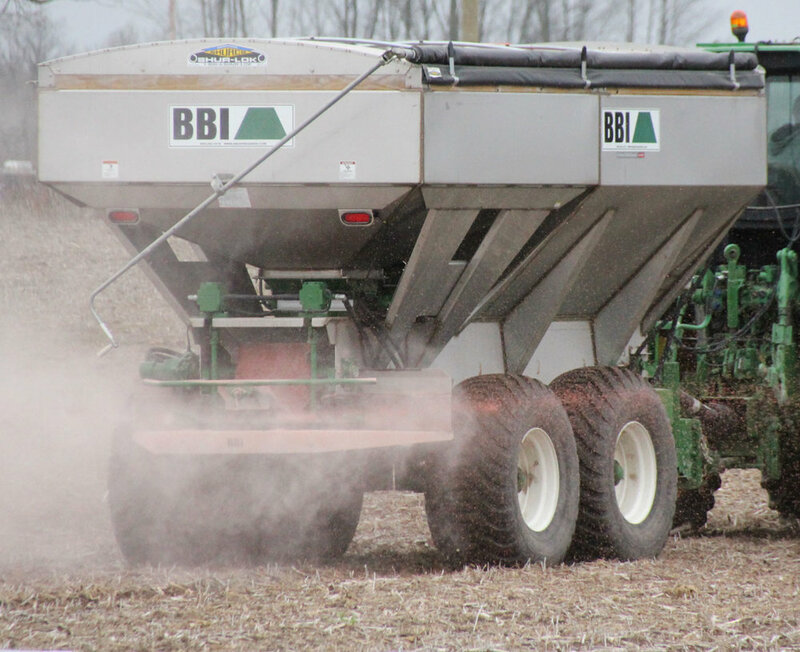 Salford's BBI MagnaSpread2 and MagnaSpread3 ideally suiting for applying cover crop seed and fertilizer in one pass. 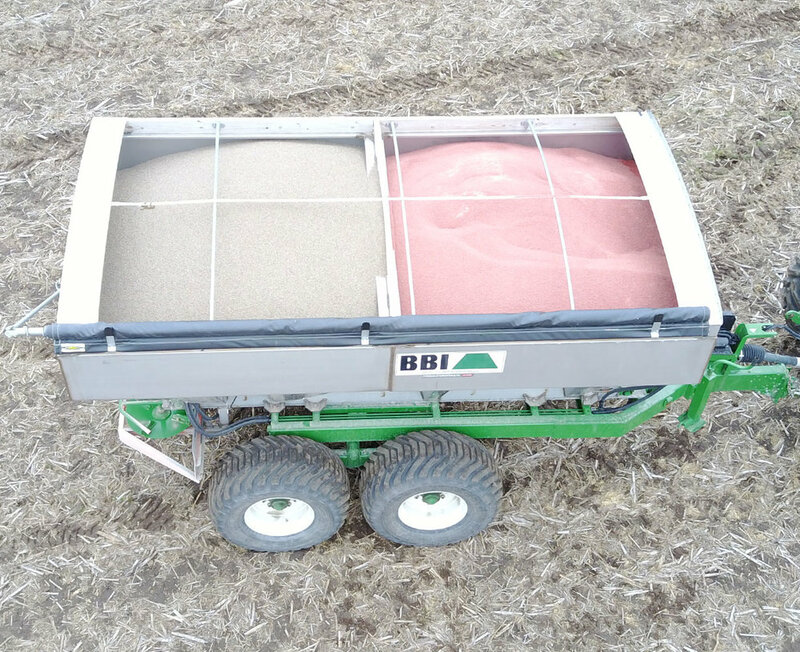 The individual hoppers allow the seed to be stored separately from the fertilizer and they can be metered into one blend in the field. 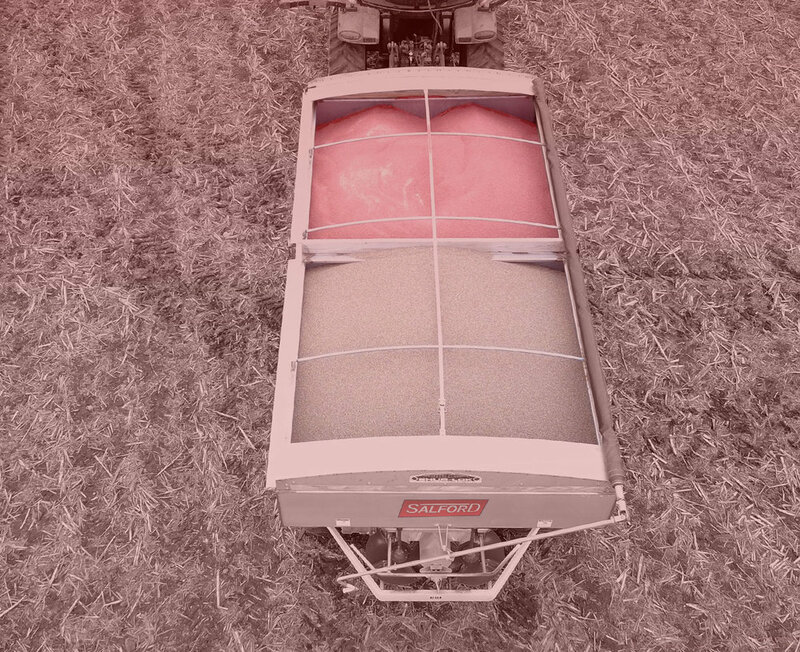 The MagnaSpread2 and MagnaSpread3 are able to accurately apply lower rates of cover crop seed by mixing the cover crop with fertilizer into a high rate blend and applying them in the same pass. In areas with a warm fall with suitable moisture a fall applied cover crop will establish itself quickly and begin to fix the applied fertilizer almost immediately. For best seeding results a light tillage pass with equipment such as the Salford I-Series will help to establish the cover crop and promote rapid germination by improving seed to soil contact.